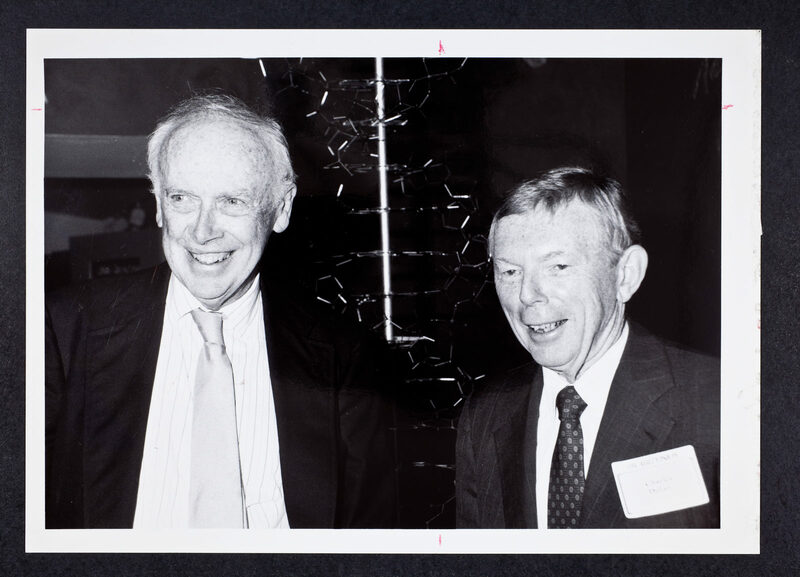 Photograph of James D. Watson and Charles Dolan at the Reopening of the DNA Learning Center at Cold Spring Harbor Laboratory. 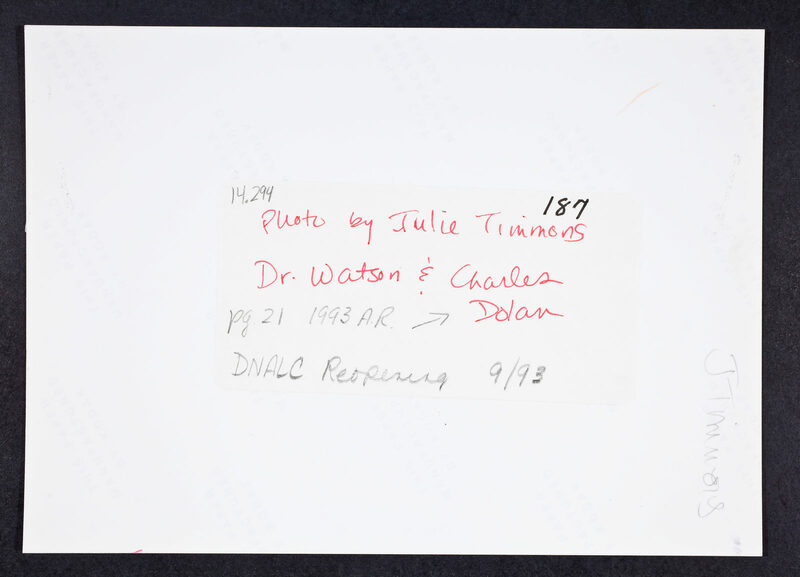 Photograph by Julie Timmons. “Reopening of DNA Learning Center,” CSHL Archives Repository, Reference JDW/1/14/34, accessed April 23, 2019, http://libgallery.cshl.edu/items/show/51617.